It was surprising to hear that a senior official of the Capital Administration and Development Division had his three children enrolled in a private school. But what was even more shocking was that over 95 per cent of bureaucrats, politicians, business tycoons and corporate employees send their children to private elite schools rather than to government institutions. If you have the choice to buy an electronic device from either a Chinese or Japanese company, you would prefer to buy Japanese even though it is more costly. But you are satisfied because it is, at least, durable. I asked him when would standards in government institutions improve, and he said that this would happen only if, like in developed countries, all politicians and policy makers sent their children to public institutions. This is a matter of great concern for the majority of Pakistanis. Because of the discriminatory education system, those from the poorer segments will remain at the losing end since they cannot afford expensive private education. Their only option is to send their children to the crumbling state system. 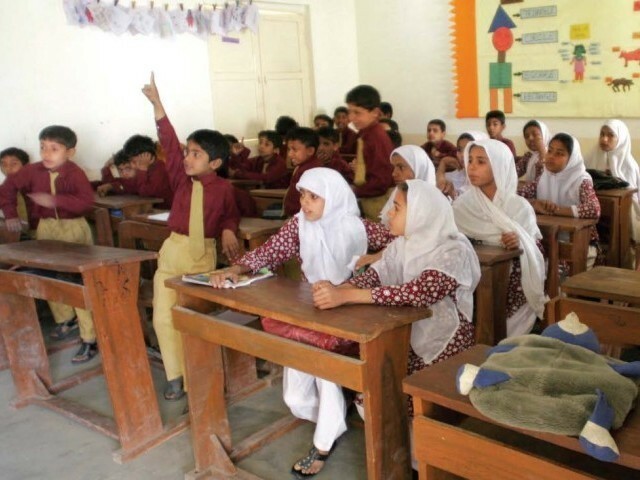 The most glaring example of our political elite’s indifference is that it did not take any steps to make legislation in any provincial assembly for implementing Article 25-A (which made primary education compulsory) even after two years had passed since its enactment. Despite insistence from the international community, civil society and people in general, the rulers again show their indifference when no substantial increase was made in the annual allocation to education. Instead of being provided with uniform education by the state, ordinary Pakistanis are forced to buy it from the market at exorbitant prices amid runaway inflation. The lesson to learn in all of this is that in a country like Pakistan, reform will take place, it seems, only when the rot directly affects the decision-makers and policymakers (and their loved ones). Why an analogy from the Official..? He goes for the durability ignoring the cost. Pure hippocratic when he said that this would happen only if, like in developed countries, all politicians and policy makers sent their children to public institutions. Obama sends his daughters to a private school in D.C, even though there’s a public school near the white house and it’s WAY better than any elite private school in Pakistan. Your last paragraph gives one solution, although not one you could expect to see materialise. I ask the writer; did.nt you have anything better to write about? Wasting time over petty matters wont change anything. He who can afford, will send his child to a private school, and those who cant will go for public. Your article would.nt effect anyones decisions. Public schools need funding and EDUCATED teachers, not those who’ve barely passed matric. Even in the US most of the higher class people, including politicians or the govt officials go for home-schooling or private ones. This is the most important subject facing our country and people on this blog are calling it pointless!! Unbelievable!!!! Private schooling is an individual’s right, but education/public schools are something the government must invest in. Every year we invest less money in education and are surprised to see abysmal results in international tests. Why do we invest so little in education. SIMPLE: The rich and elite do not pay their fair share in taxes: they cheat and hide their assets and as a result the government has no money to spend on education. Neither the PML-N or the PPP will change this state of affairs. Between them they had about 2 decades in power and things have only got worse. He talking about improving public schools, public schools in Pakistan are terrible compared to American ones. By the way, in U.S. bureaucrats or politicians are not high-class people, as the Pakistani mindests have spoken here. Politicians imply thousands and thousands of local/provincial/fed govt officials, most of who make as much as an american white collar american or less.